"I do not hunt to live, but to have lived"
Planning, hardwork and determination, all these qualities and more went into that once in a life time experience. You have done your part, now it is time for ours. Honesty, craftmanship, artistic ability and more is our part. 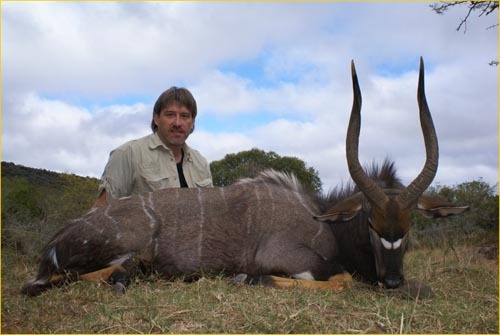 By having the skilled wild-life artist at Drake`s Animal Art Studio recreate your trophy in stunning realism, the dream is complete and the memories will last a life time. Please call ahead to setup a pickup/drop off time. 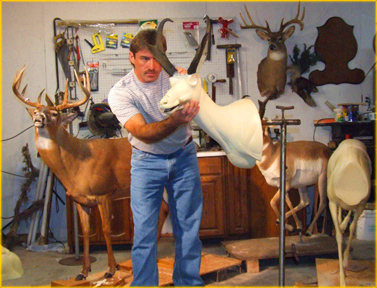 I`am an award winning, full service part-time Taxidermist serving central Ohio, including Columbus, Upper Arlington, Powell, Grove city, Dublin, Delaware and Westerville. Ohio county (ies) Franklin, Pickaway, Fairfeild, and Fayette are all close by. 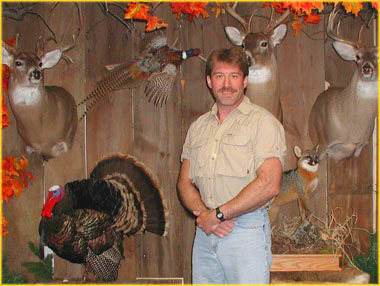 When you choose Animal Art Studio you know you are getting some of the highest quality Taxidermy in Ohio. Every year we are getting in safaris from nearby States. We now offer free delivery to these States. See the pricing page for details. Check out the contact page to set up an appointment. "For the finest in Ohio Taxidermy"
697 E. London Groveport Rd.